To enter, you must connect with the Facebook page ‘Duracell UK’ (www.facebook.com/Duracelluk/), watch the Duracell and Marvel video clip shared with the competition post and comment below with how many Iron Man Titan Hero Power FX Action Figures you can see before 00:00 on the closing date of the competition, Sunday 6th May 2018. 1. This competition is open to all residents in the UK & ROI 18 years of age and over , excluding employees of Duracell and its affiliates or agents, the families of such employees and any other person connected to this promotion. 3. The competition will open at 00:00 on Monday 23rd April 2018 and close at 00:00 on Sunday 6th May 2018. 4. Only one entry per person (assessed as having the same name, address, FB profile and IP address). No bulk or third-party entries accepted. Look at the competition post, watch the Duracell and Marvel video clip shared and comment below the video clip with how many Iron Man Titan Hero Power FX Action Figures you can see. 6. There are 50 prizes in total available. The prize is as stated and cannot be transferred, sold or exchanged. The RRP of each Iron Man, Captain America or Spiderman Titan Hero Power FX Action Figure is £24.99 and there is no cash alternative. Only one prize per household (same name, same address, email, same IP address). 7. The promoter will not be liable for applications not received, incomplete, delayed or damaged. Last date for receipt of entries is 00:00 on Sunday 6th May 2018. 8. All correct entries made by the closing date and time will be entered into a Free Prize Draw and the 50 entrants randomly selected will each win an Iron Man, Captain America or Spiderman Titan Hero Power FX Action Figure. 9. Prize winners will be notified by a reply to their Facebook post within 14 working days from the Sunday 6th May 2018. 10. To claim the prize, the winner will need to email the Duracell email address specified, containing their address and contact details. In the event the claim for a prize is not received by the promoter within 14 working days from notification, the promoter reserves the right to select an alternative winner. Prize will be delivered within 28 days of prize claim being received. Promoter cannot be held responsible for any lost or stolen awards or awards destroyed due to events beyond reasonable control. 11. Prize winners’ details (name and county) will be available within 28 days of the closing date upon request. 12. By entering this competition, entrants agree to be bound by the rules and by any other requirements set out in the promotional material. 15. By entering the Free Prize Draw, the winner consents to any publicity generated because of the draw and use on websites, magazines or mobile services at any time without further consent or payment. It is expressly agreed and noted that neither Facebook nor Marvel are in any way associated with or sponsoring this Promotion and cannot be held liable as to any elements related to the promotion. By entering the Promotion, you agree to be bound by these Terms & Conditions. Duracell reserves the right to modify the content of these Terms & Conditions with retrospective effect at any time without prior notice for the sole purpose of ensuring the good execution of the Promotion, with no detrimental effect on the participants. IV. Your submission will be made without any prior payment or promise of payment having been made to you or the expectation to you of any payment, benefit or advantage in return for your proposed submission, except for the possibility of having your submission used for Duracell promotional purposes as explained below. VI. If your submissions contain any images of persons who are minor of age, you represent that you are the legal guardian of the minor depicted and agree to the minor being featured in the submissions. If the Promotion requires a photo or any audio-visual content such as video of you being uploaded, it must be a photo or audio-visual content of you and nobody else, famous or otherwise. Such video should not contain any music. 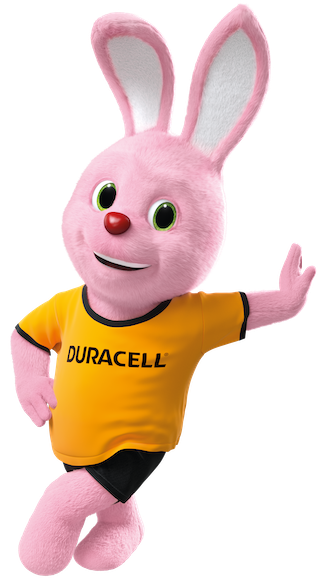 You retain all your ownership rights in your uploaded content and by entering the Promotion and uploading your content, there is no assignment of any intellectual property rights in your material to Duracell. However, by submitting your content, you hereby grant to Duracell a worldwide, non-exclusive, royalty-free, transferrable licence to use, reproduce, distribute and display the content, in whole or in part, on www.duracell.co.uk where you submit your content from time to time required for the purposes of the Promotion. You understand that your entry may be accessible by all viewers of the Duracell Facebook page onto which it is uploaded and that it is not subject to any obligation of confidence on part of Duracell or its third-party service providers and agents. This licence granted by you terminates when you remove or delete any material from the Duracell Facebook page or at the latest 12 months after the end of the Promotion. You understand and agree that Duracell has the right (but not the obligation) to monitor, review, remove or refuse your submission or any portion thereof, and you acknowledge that you are entirely responsible for the contents of any submissions. You agree that entry into this Promotion shall be at your sole risk. To the fullest extent permitted by law, this Facebook page is made available to you “as is” and Duracell, its officers, directors, employees, and agents make no warranties or representations about the accuracy or completeness of the content on the Duracell UK Facebook page or the content of any sites linked to this site and assumes no liability or responsibility for any damages, injuries, technical issues of any kind. By entering the Promotion, you agree to defend, indemnify and hold harmless Duracell, its directors, employees and agents, from and against any and all claims, damages, losses, liabilities, costs or expenses (including but not limited to legal fees) arising from: (i) your use of and access to the Duracell UK Facebook page; (ii) your breach of any of these terms; (iii) your breach of any third party rights, including without limitation any copyright, intellectual property, or privacy right; (iv) your breach of any laws and regulation in creating, posting and/or subsequently amending your submissions; or (v) any claim that any one of your submissions caused damage to a third party. This indemnity shall survive the duration of the Promotion. If you are a third party and you believe that any content hosted on the Duracell UK Facebook page infringes your copyright or other intellectual property rights, please notify Duracell as soon as possible at the address below and we will remove the content with immediate effect. Duracell disclaims any liability whatsoever for an infringement, and will not be responsible for any claims, costs, damages or actions in respect of any alleged or actual infringement. Rights holders should contact the users who uploaded the content directly if they wish to discuss any claims. By posting your content to Duracell UK Facebook page, you agree to the items set out below. I allow Duracell and our partners and agencies to re-use the content I submit, in accordance with the Terms and Conditions below, without further compensation. I confirm that I own the rights to the content I upload and that I am not using any content which infringes anybody else’s rights or that uses or depicts anybody else’s name or picture. If I submit content that depicts images of a person who is minor, I confirm that I am the legal guardian of the minor depicted in the submission. As the legal guardian of the minor depicted, I acknowledge that I agree to the minor being featured in the submission and in other uses of the content as stated in the Terms and Conditions below. If you do not agree to the terms, do not post any content to the Duracell UK Facebook page.